The Superkarts! 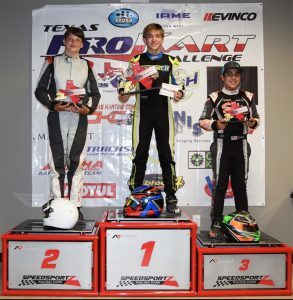 USA Texas ProKart Challenge is a series on an upswing, and with solid fields taking to the track this past weekend in Houston, the program certainly ended with a bang. 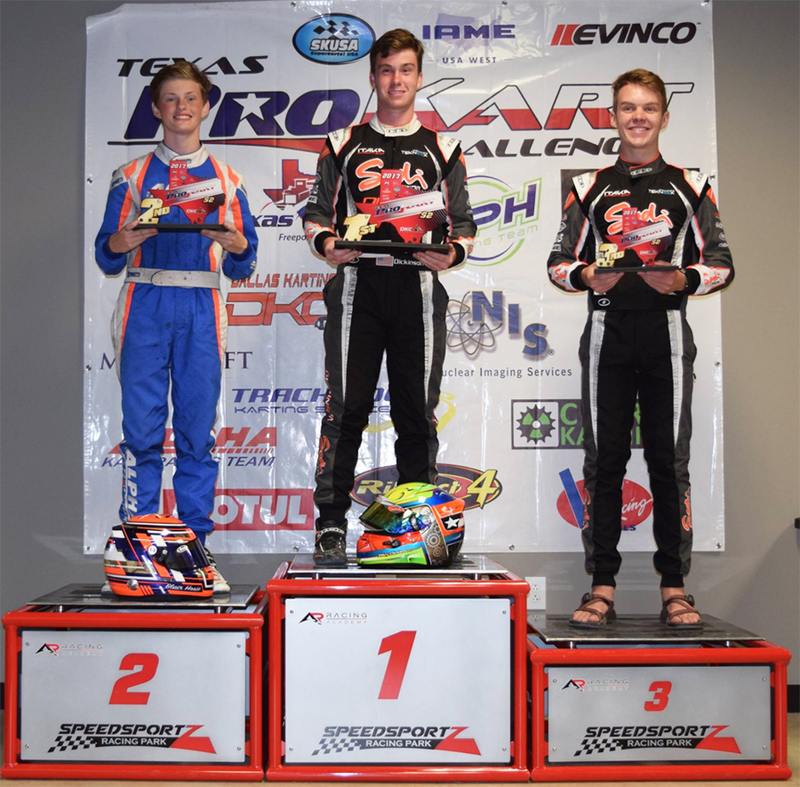 Five race groups rolled through two full days of competition at the new Speedsportz Racing Park in New Caney, Texas and the action on the 0.8-mile, 15-turn course kept everyone at the fences. 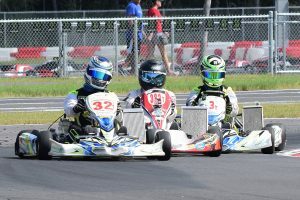 The 23-kart Mini Swift field put on a show in both of their mains, and the Stock Honda class featured great racing among four SKUSA Pro Tour champions. The track proved to be high grip and physically demanding, and it offered ample options for passing, which we saw all weekend long. 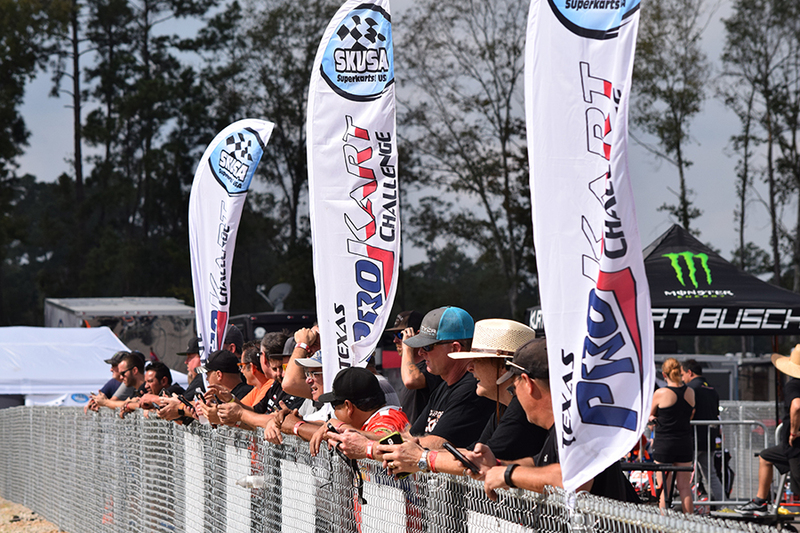 The Texas PKC is stacked with talent, and it’s also home to three of the four reigning SKUSA Pro Tour Stock Honda champions. Newly-crowned S1 Pro Stock Honda champion Jake French faced off against Riley Dickinson (S2 champ) and Jordan Musser (S4 champ) all weekend, and when they threw in 2016 S4 Master national champion Ryan Kinnear and impressive young talent Blair Hosie, the racing was simply fun to watch. Dallas Karting Complex / Sodikart driver Jake French was the man to beat on Saturday, but not before Dickinson (Sodikart) outgunned the #1 ranked driver in qualifying. Dickinson struggled to get off the line in the heats, which gave us our first chance to see where the overtaking opportunities lay at Speedsportz as Riley knifed his way back up to second. In the main, French took off to the lead and won by over four seconds. Dickinson took the S2 Semi-Pro Stock Honda win over Hosie (Alpha) and Michael Ilavia (Birel ART). Chris Jennings (Soidkart) was under the weather all day but still managed to take the S4 triumph over Nathan Stewart (Sodikart), while Dylan Towne (Sodikart) was S3 Rookie Stock Honda, topping Diego Villafani (Alpha). On Sunday, French again qualified on pole, but it was Hosie who led the S2 contingent in the timed session. Hosie beat French off the line and held back Dickinson to win the first heat, although French rallied in the second to regain the pole for the main. The DKC teammates were embroiled in a great battle for the win, but French came out on top to sweep the weekend. Dickinson’s S2 win gave him the series title, while Kinnear slotted into second after getting around Hosie. Nathan Ratton (Sodikart) found his way past Hosie late in the race as well to complete the podium. Stewart walked away with the S4 crown, while Villafani scored the title in S3. 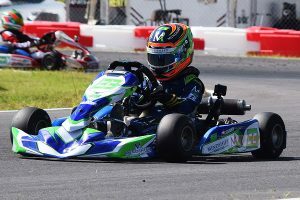 Brett Mitchell (Tony Kart) was the driver to beat in X30 Senior on Saturday, sweeping the day to clinch the overall season championship. Max Hewitt (CompKart) and David Ilavia (CompKart) completed the podium. Mitchell was in the mix on Sunday as well, but he had to battle with the CompKart drivers once again for positions on the podium. Ilavia was a monster at the start of the heats and the main to take the early lead, and despite the fact that it appeared that he lacked the outright speed of his challengers, he won both heats and then drove a flawless 16-lap main event to score the win. Hewitt turned the fight up to another level as he finished second in all three of Sunday’s races, while Mitchell took third. The racing was hard-fought from start to finish. Steve Ratton (Sodikart) was the lone X30 Master driver on the weekend, taking both wins as a result. 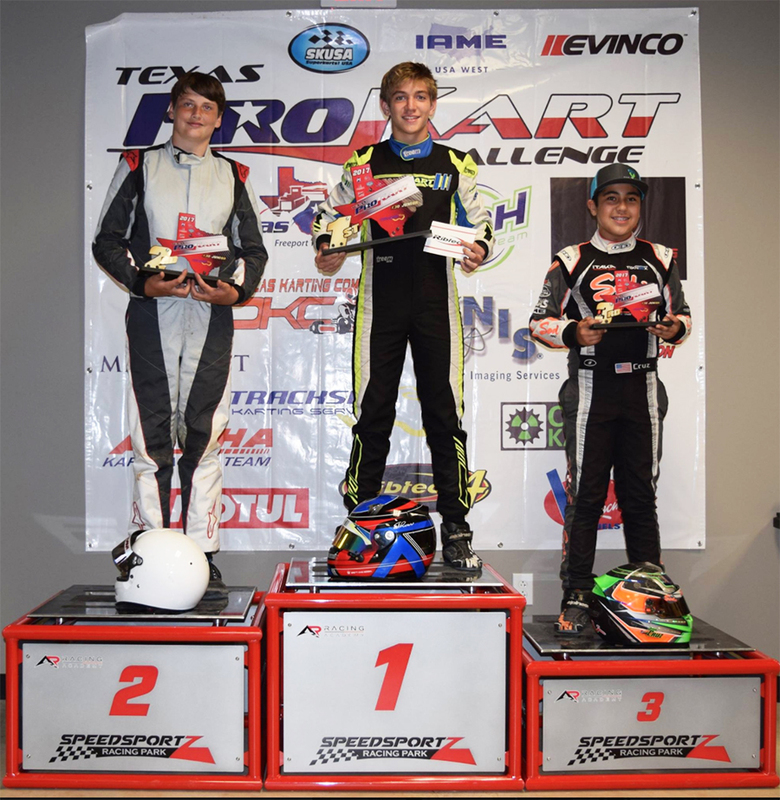 In X30 Junior, Emiliano Richards (Tony Kart) dominated the action on Saturday, coming home out-front all four on-track sessions, but a penalty for blocking in the main moved Ethan Arndt (CompKart) to the win and Adrian Cruz (Sodikart) to second. Richards dropped to third with the ruling. On Sunday, Richards took aim on the win to battle back, but after leading early, he fell out of the main with just five laps to go with a mechanical failure. Arndt picked up the flag to win his second race of the weekend and the X30 Junior championship. 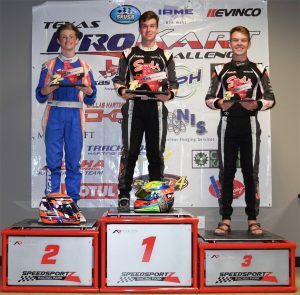 Following additional penalties, Travis Wiley (Compkart) took second, while Cruz completed strong weekend performances to stand on the podium in third. The Mini Swift class turned in some incredibly close and clean racing throughout the weekend, highlighted by a five-kart battle for the win on Saturday. The race was scheduled as the last main of the day, and the Mini Swift racers did not disappoint. The back-to-back action was thrilling and, in the end, John Burke (Energy) was able to emerge victorious to put himself into the championship battle. Chase Gardner (Vemme) was on his game all weekend and took second in the first main event of the weekend, while Alex Stanfield (Energy) capped the top-three. With the class championship coming down to four drivers on the final day, the racing through the heat races was a little more relaxed with the drivers working to position themselves for the Sunday main. Burke didn’t let up from his pace on Saturday, qualifying on pole and winning both heats. Branyon Tiner (Tony Kart) was quick early, as was Ryan Shehan (CompKart). The complexion of the title fight changed when Burke’s engine would not stay lit leaving the grid, and while they were able to get him out to catch the tail of the field after the first warm-up lap, the engine died again and he pulled off the track. 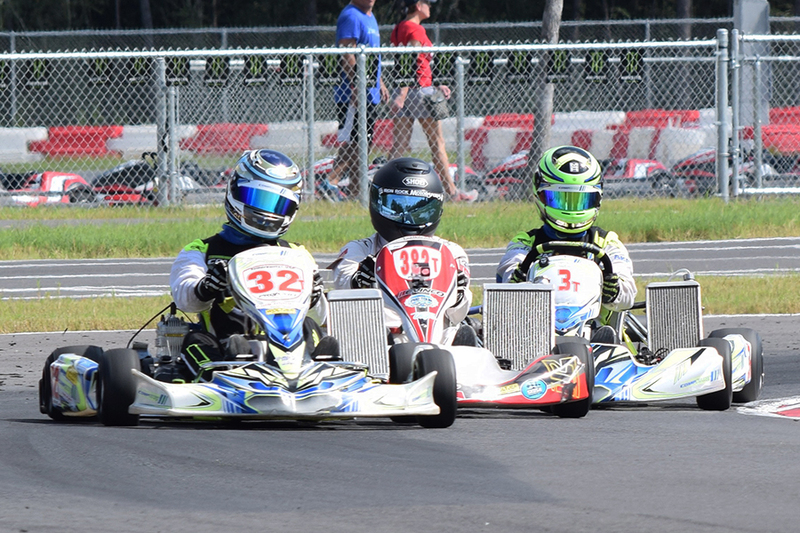 A red flag halted the race before it started, and even though Burke was able to finally get his engine started with verbal coaching from his team on the sidelines, he had worked on his kart under a red flag and was excluded from the event. This opened the door for Gardner to step to the forefront, as he led the points heading into the final race. Gardner started fourth in the race and proceeded to go out and win the 14-lap main, taking the Mini Swift title in the process. Tiner turned in another great run to finish second while Enzo Swan (Benik) was third. In Micro Swift, Santiago Duran (Alpha) topped the opening day qualifying and then won the first heat race to hold the pole for Race 2. He was involved in an incident before the start of the second heat and finished ninth, but came back in the main event to outrun Cooper Shipman (Benik) by 8.382 seconds. Max Hewett (CompKart) completed the podium. On Sunday, Duran performed to complete the full sweep, topping all four sessions to finish with a 2.824-second win over Helio Meza (Merlin). Joseph Moss was impressive all weekend and finished in the podium in third on Sunday. Shipman completed a strong weekend to take the overall points championship for the class. The Texas ProKart Challenge drivers, crews, teams and staff put on a tremendous season finale at a brand-new facility, which of course offered up its own unique challenges. The racing was truly stellar and kudos go to Alan Rudolph for an incredibly racy layout. The Texas PKC has a full head of steam moving into the 2018 season and will be primed to carry momentum into their biggest season yet.